Can you feel it? The hotter breeze. The longer days. The vacation vibe. We all know what time it is. It's Summer TIME! It's the season again when we dive into the pools or lay on the beaches. Some would love to climb mountains, while others just like to visit different cities. Lucky for us, the Philippines has a lot of places to offer for our summer getaways. However, the time to do all these things is limited, so finding a place to go that offers the most activities is something we all look for. Here are some of those interesting places, and to make sure you strut the summer in style, here are some of our new watches for you to pair with your #SummerTIMEOOTD. The summer capital of the Philippines! When the rest of the country gets hotter, everyone's taking solace in Baguio's cooler climate. 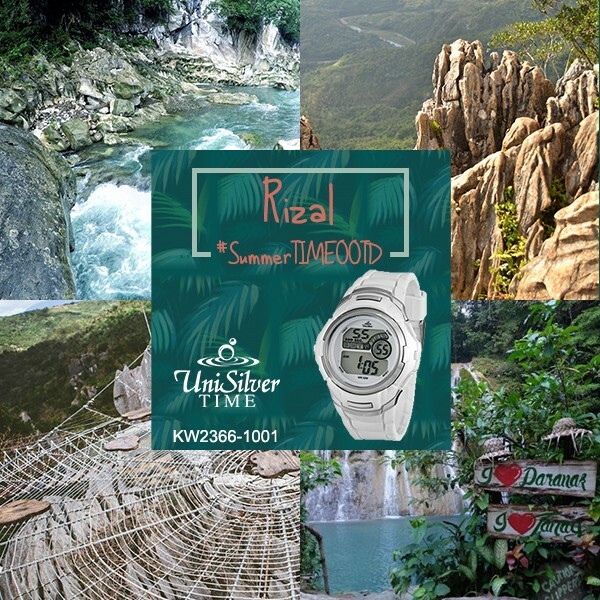 A cool climate needs a cooler watch, and the UniSilver TIME Zephiro is that watch. Evoke freshness, modernity and confidence with this timepiece as you wander around the different and amazing places the summer capital has to offer. 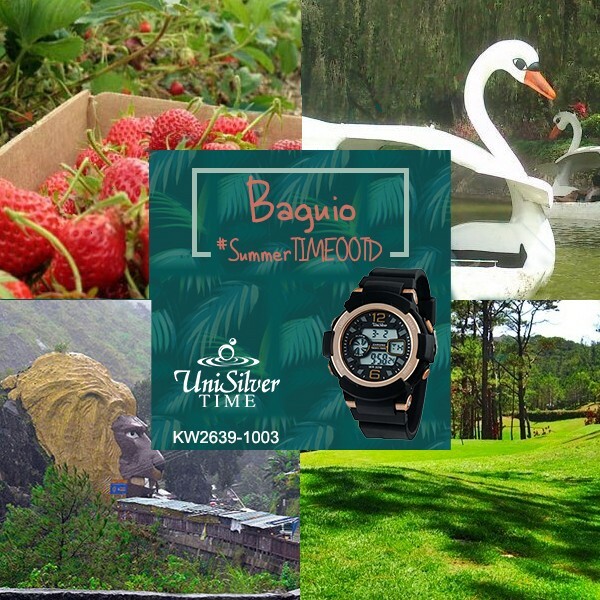 From picking strawberries to visiting different parks, and even riding horses, Baguio has a lot to offer. Take a step back in time and be awed by the classic beauty of the Philippines. 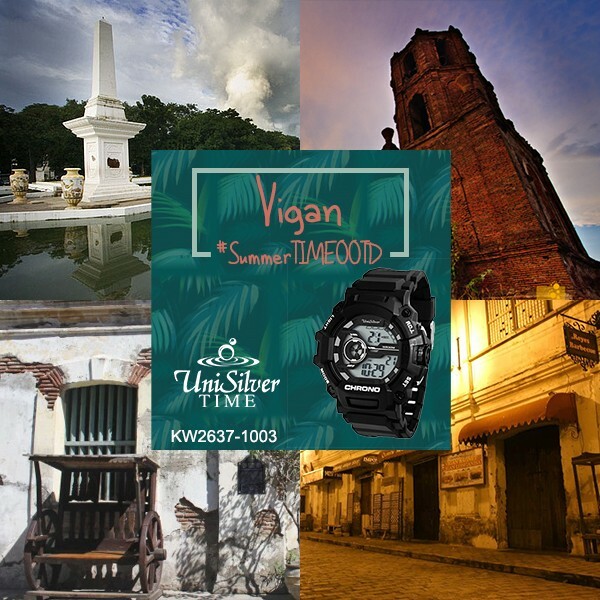 Stroll through the red-bricked roads of this historical city with UniSilver TIME Unexys Digital Watch. This complex-looking watch gives an urban appeal to your casual get ups. You can visit different museums and churches and get to learn more about our history. With Unexys, walking along Vigan has never been this chic. Feeling like conquering the waves rather than just swimming through it? Head to one of the top surfing destinations in the Philippines - Baler! And after a long day dancing through the waves, enjoy the night life and stand out with a UniSilver TIME Trazer-Adventure watch to complete your outfit. 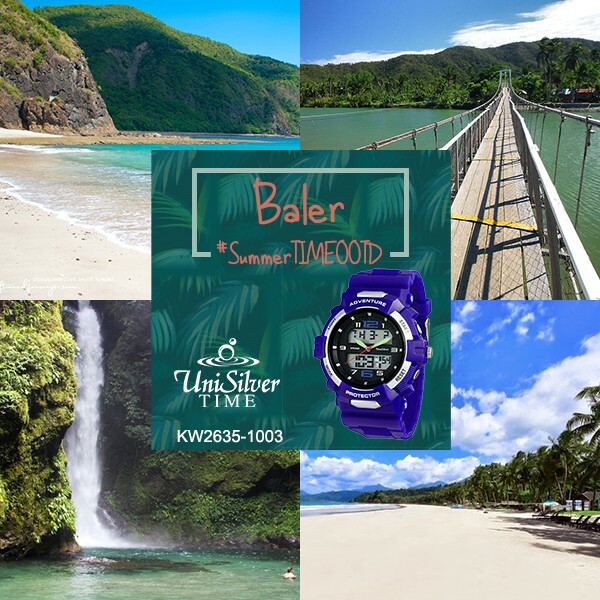 Don't forget to quench you wanderlust with other exciting places to visit within Baler. Can't decide what you want to do this summer? Do you want to go trekking but want to also go swimming? The diverse province of Rizal has a lot to offer you. With magnificent mountains to trek and beautiful falls to plunge into, name it, they got it. With this, you need a versatile watch to match any style: UniSilver TIME Nucleon Digital Watch gives you that versatility. Would you like to escape the noise of city life and the stresses of your work? 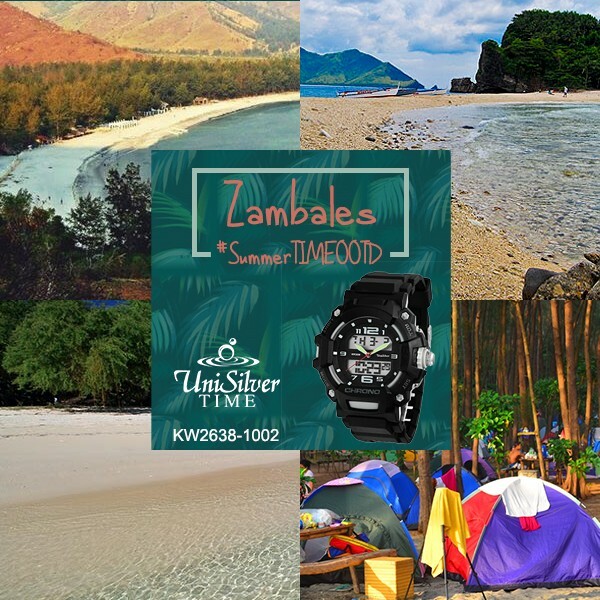 Why not camp at the different beaches and islands of Zambales. Imagine sleeping under a sky full of stars and hearing nothing but the waves of the ocean. Doesn't that feel refreshing? And even though you are camping out, it's not an excuse not to be stylish! 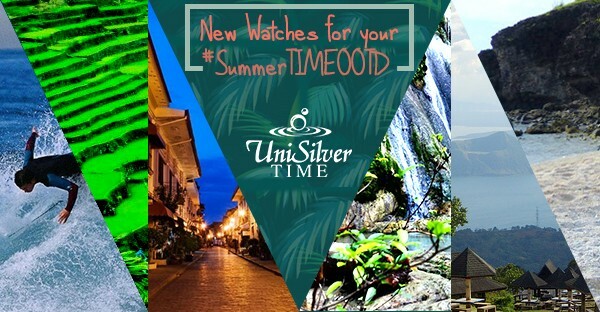 Maintain your style with the UniSilver TIME DiActix Watch. Summer comes only once a year - take advantage of it! Dive into a new experiences and make memories. 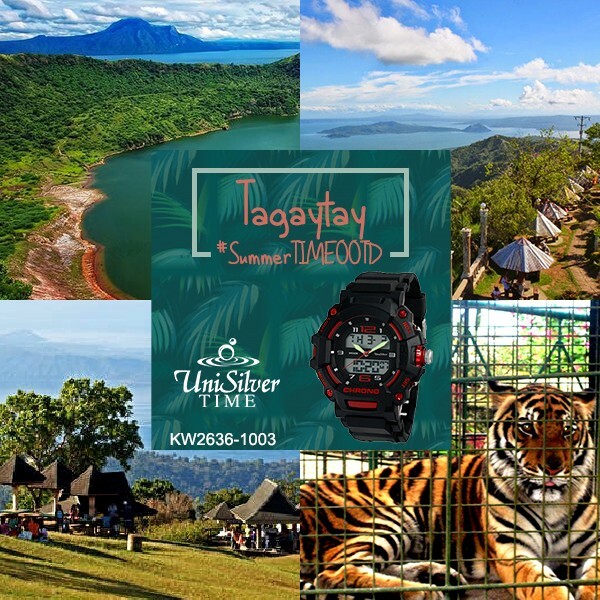 All your hard work needs to get rewarded, so make sure to take a break and go into an adventure...and do it with style, do it with UniSilver TIME watches! Don't forget to share us your #SummerTIMEOOTD.